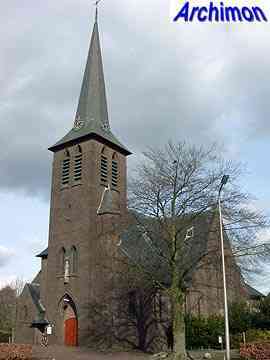 The village of St. Isidorushoeve is not as old as its church. 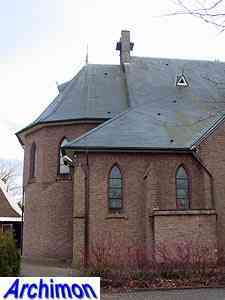 The parish was founded in 1927, to serve the farmers in the wide area between the parishes of Haaksbergen, Wegdam, Beckum and Rietmolen. 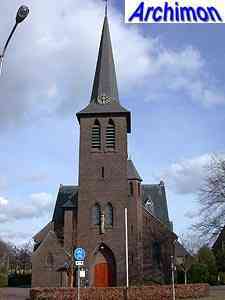 Eventually, a village grew around the church, which today is part of the Haaksbergen municipality. 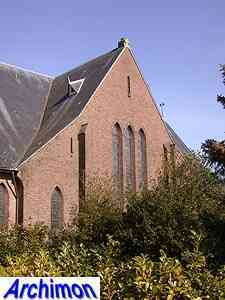 The church, along with the presbytery, was designed by J.H. 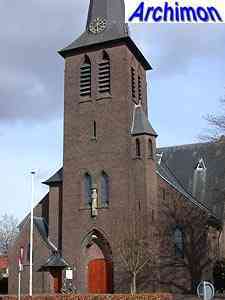 Sluijmer, an architect from Enschede who would build many more churches in the eastern regions of the country. 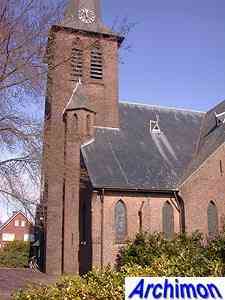 This church was Sluijmer's second and came six years after his first, in Zwartemeer (Dr). It's a three-aisled cruciform pseudo-basilica in a style based on neo-Gothic, but with some Expressionist influences especially in the interior. 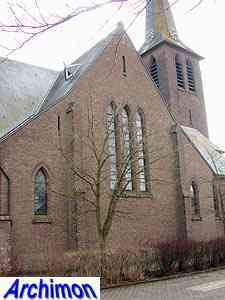 The church has a short but wide nave with narrow side-aisles, which are used for seating as well, and a wide transept. 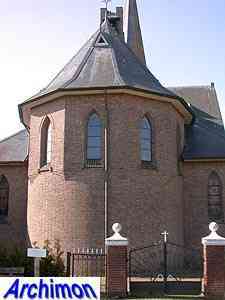 The entire church is covered with brick vaults. 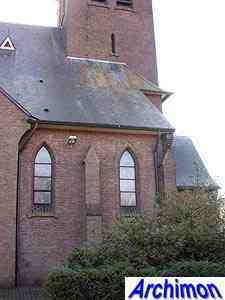 At the front is a baptistry. 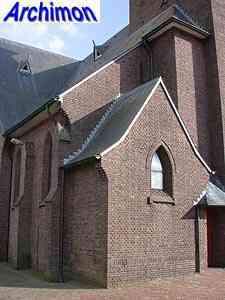 Flanking the choir are two additional chapels. 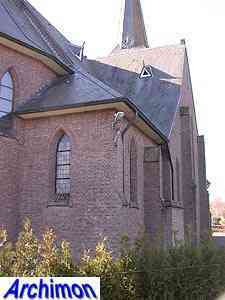 The transept is as high as the nave but hardly extends its width. 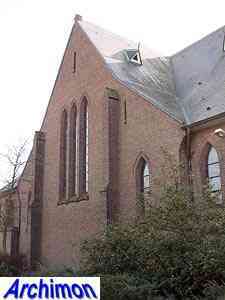 It was planned to extend it at a later date should the need for a larger accomodation arise, but this never happened. 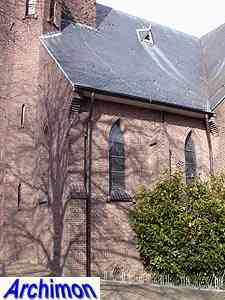 Unusually, the facades of the transept are made up of three parts seperated by buttresses, with the outer parts between the middle part and the side-aisles standing slightly diagonally. 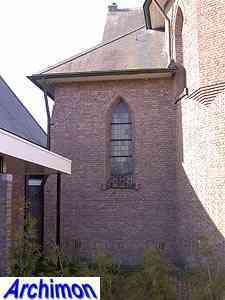 Sluijmer also designed the village's primary school.